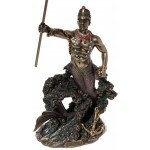 Olokun is the African spirit of the Deep Sea here emerging from the ocean waves, trident in hand. Olokun is an Orisha, a spirit that reflects one of the manifestations of God, and is the force and power of the unconscious mind, and his name itself means owner of the ocean. 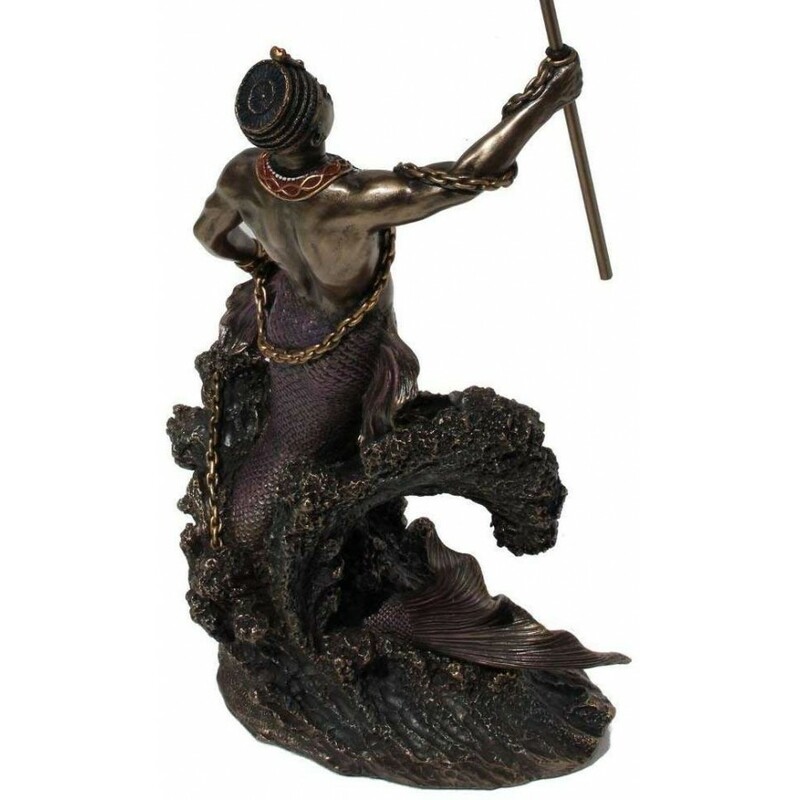 Some say Olokun was the first spirit to inhabit the earth, and was chained at the bottom of the ocean. 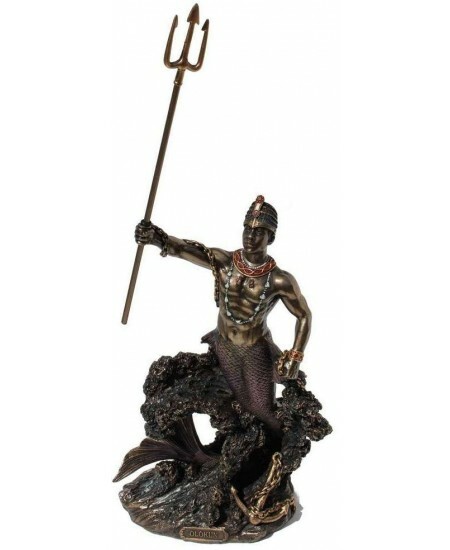 This 16 1/4 inch high statue depicts an anchored Olokun emerging from an ocean wave, raising his trident high in the air. 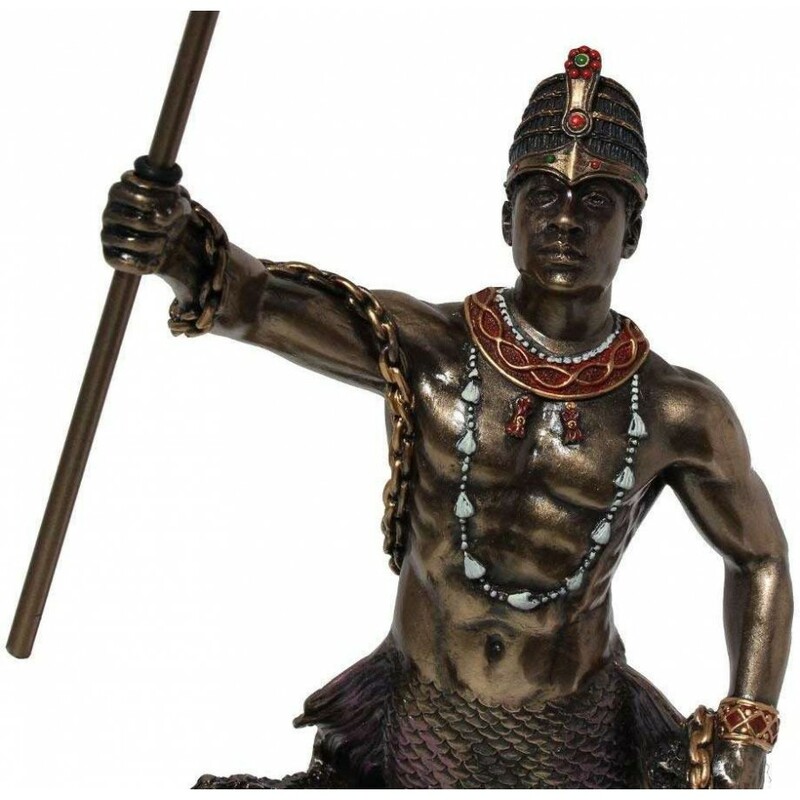 This Olokun statue is expertly cast in bronze infused resin and hand painted color enhancing the amazing detail. NOTE: The trident is packed separately inside the foam packaging so unpack carefully. 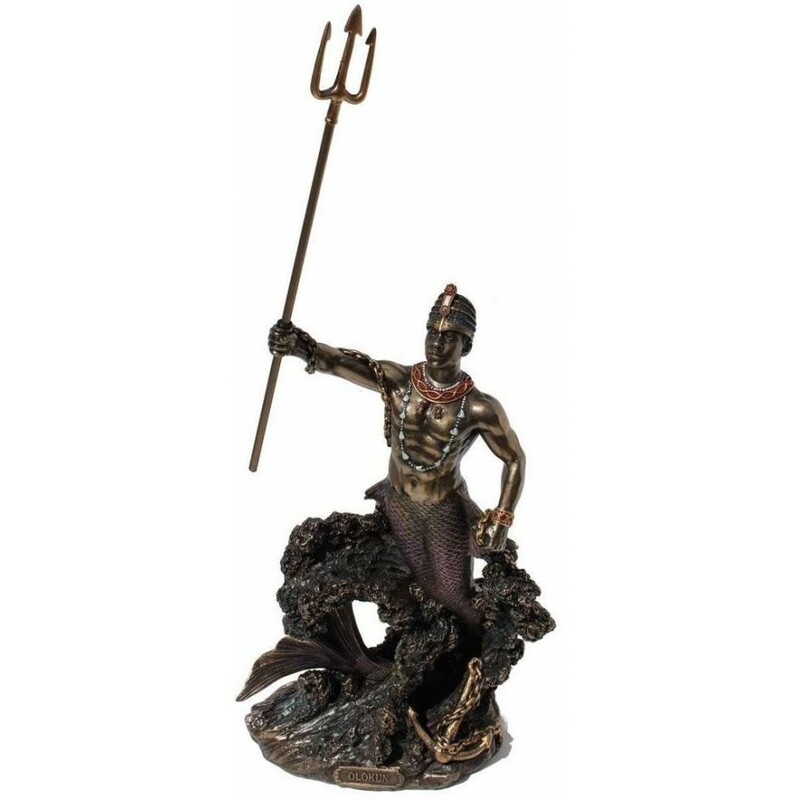 Item Number: UI-WU76826A4 | Approximate Size (Inches): 8.00 wide x 5.50 deep x 16.25 high | Approximate Shipping Weight: 5.00 lbs.